Adjustable Slimline Bio Energy Tester with adjustable lenght antenna and 4 mm accessory connector. 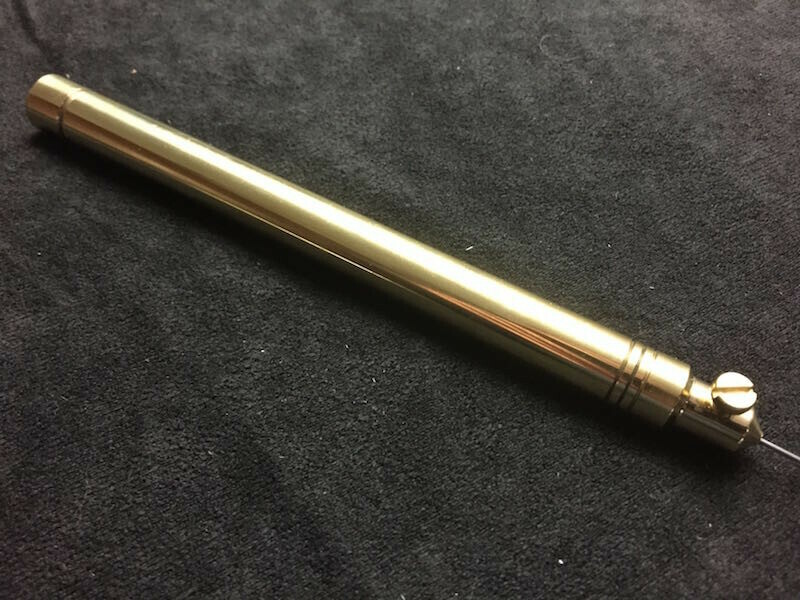 Crystal Quest produces and sells the professional slimline Adjustable Bio Energy Tester (also called one-hand dowsing, Biosensor or Biotensor). 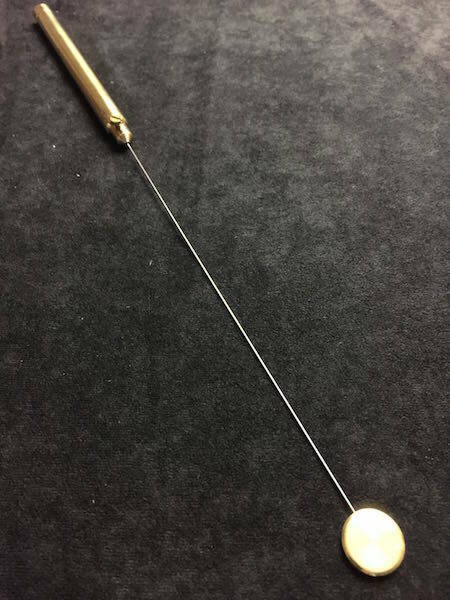 This model is made entirely of brass with an antenna (rod) of spring steel. The antenna / rod with a variable length is set in a simple manner. This allows you to adjust the lenghth at the exact desired sensitivity for the testingrequirements you might have at the time. The adjustment range is + or - 15 cm. 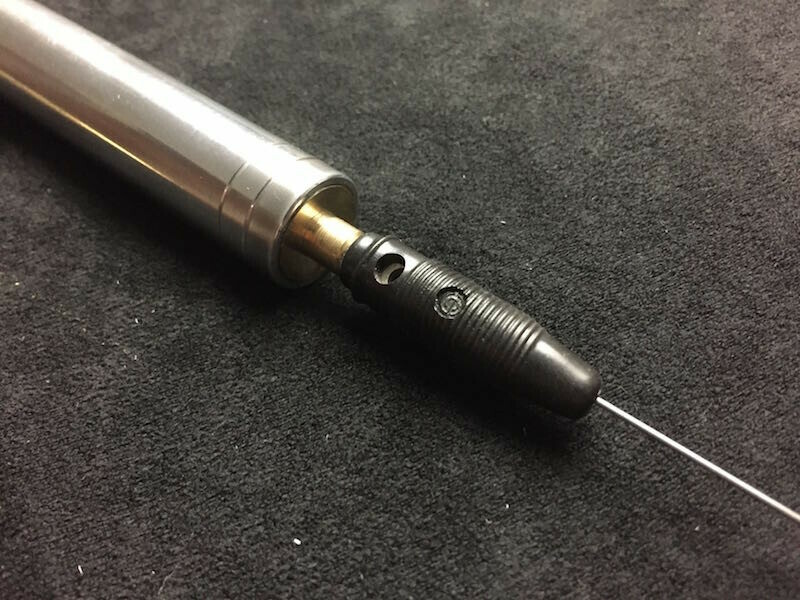 Of course, the Adjustable Slimline Bio Energy Tester has a 4mm connection possibility on the underside of the handle so you can connect your accessories that use standard 4mm connectors. All standard accessories (also from other suppliers) can be connected. 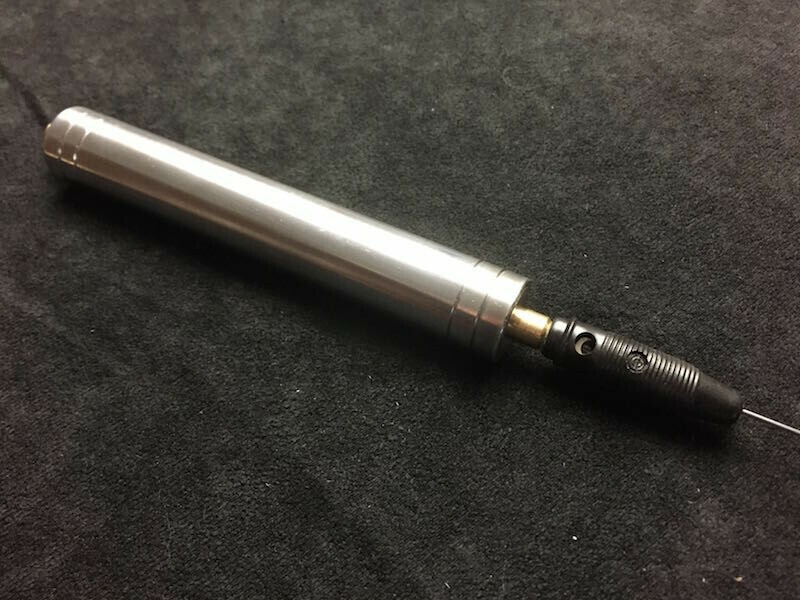 Most producers of biotensor tools make use of this size (4mm) connectors.